Liz Schulte's Bat Country: Inferno is out! 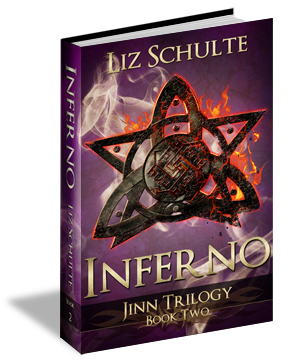 Book two of the Jinn Trilogy is now available!! Amazing story! You left me heartbroken! When does vestige come out? The suspense is maddening! Ive read all the Guardian books and the Jinn trilogy books. I feel I love wirh Olivia and Holden! Please tell me you are going to write more about them!!! Any release update on the Jinn Trilogy Book 3, Vestige?